It’s hard to imagine a color combination more exquisite than purple and bold metallic gold. Go ahead— feel like a movie star today! 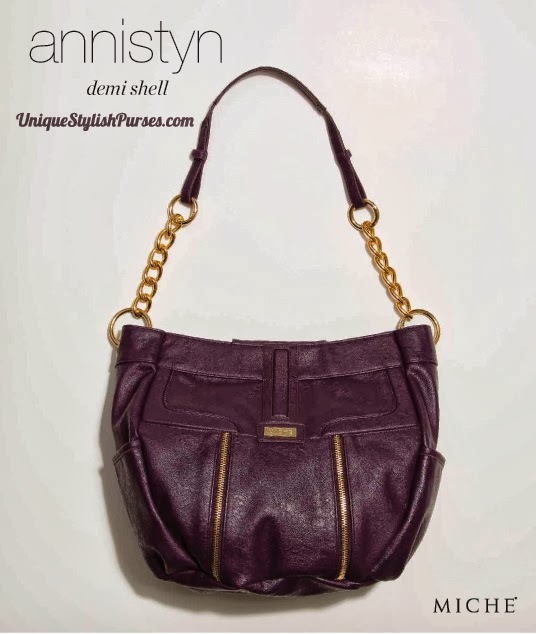 The Annistyn Shell for Demi Miche bags features demi-gloss faux leather, decorative zipper details, and unique molded piecing.